Friends, I am tired. It has been a busy week and I am going to try to rest some over the weekend as well as spend some quality time with my wife Judy. Part of the issue with my tiredness is that I haven’t been the same since my experience over the last month or so dealing with the military mental health system. I won’t bore you with details since I have already written a lot on it, including the fact that I got some resolution, but frankly I didn’t realize just how fragile that I was still was. I had no idea that trying to get help would be so emotionally punishing. Truthfully, I have not had a good night sleep since the initial conflict with the physician and the system. The nightmares, terrors and restlessness are all back. Hopefully in a few weeks or months things will settle out again. On the positive side I was provided new hearing aids which are quite remarkable in their capabilities and are already helping me to understand speech better. For those that don’t know I hear noise just great. I have almost no loss of that ability. However, since Iraq I suffer unending tinnitus and my speech discrimination, a neurological function is in the third percentile, meaning that 97% of people understand speech better than me. So I am grateful for the hearing aids, as Judy, who was becoming ever more frustrated with me not understanding her or others. The ironic thing is that she has been severely hard of hearing her whole life and has a 77% hearing loss, but she usually understands speech better than me. a funny thing did happen yesterday. I was asked by a Charismatic Christian about praying from my hearing. While I appreciate that and I am touched by such sincere desires to help, it would be a shame if the government wasted over 5,000 on the hearing aids that are working so well. 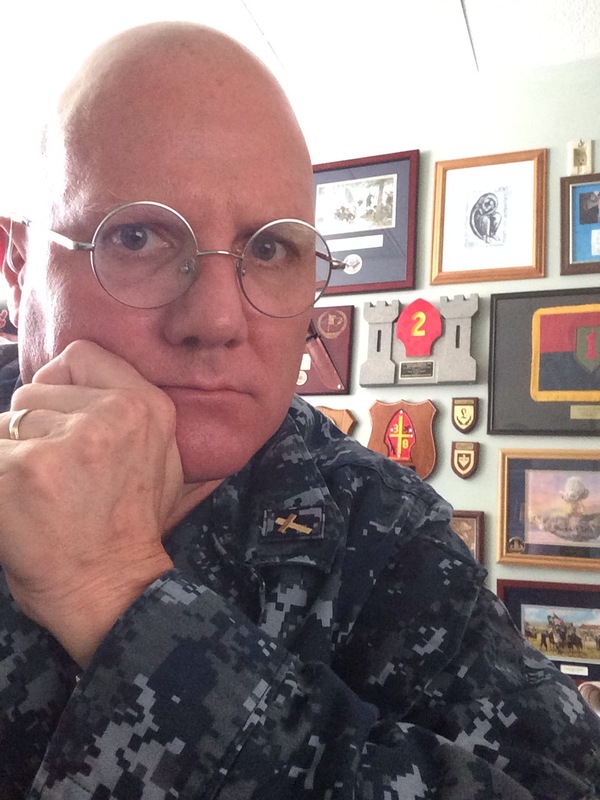 Likewise, it looks like I have been invited to speak at the Military Officers Association of America conference in Washington DC in September on the topic of being a care giver to those suffering from PTSD while suffering from it myself. That should be interesting. In a way it is something that I hope to do on a regular basis once I retire from the military. 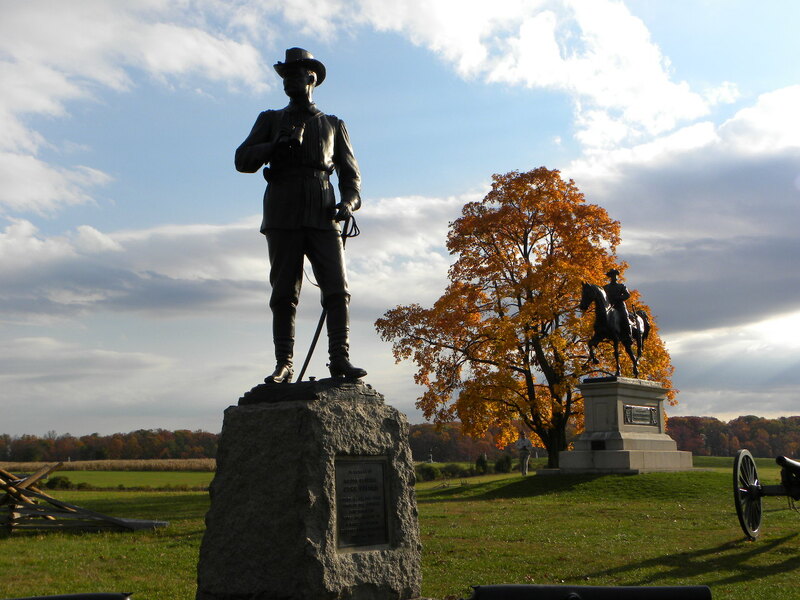 I have been writing a lot about Gettysburg and each thing that I write helps bring me a better understanding of the battle, but also the people, as well as the culture and philosophic ideas that had such an influence on those times. So you can expect that as I write new material and revise old material that I will share them with you here. Finally as to current events. I am troubled by the events in Ferguson Missouri, especially many of the surprisingly racist reactions by “white America.” Since I wrote about that recently as well, I won’t go back into it. The situation in Iraq with the rise of ISIS and its “Caliphate” has me greatly concerned. This is not a normal terrorist organization, it is Al Qaeda on steroids. The Secretary of Defense, Chuck Hegel, sounded a clear warning in the wake of the public execution of American photo journalist James Foley and threats to bring their war to the United States and the west. I do not think that Secretary Hegel, a very circumspect man would make such an announcement if there was no real threat. The problem is that back in 2003 the Bush Administration sewed the wind in Iraq and left a very fragile and unstable state, whose leaders failed their people, and now we are reaping the whirlwind. We want peace, I know I think I speak for everyone, but the rise of ISIS with its apocalyptic vision, vast financial resources, international reach and success on the battlefields of Syria and Iraq is drawing radicalized Moslems to it’s black banner around the world. Because of this I expect that we are in for a long hard fight, and that our new opponent will cause us grave damage. That being said, I fear for civil liberties in the wake of any attack, and I especially fear that, if something bad happens in the United States, that we will react not just against the culprits; but innocent, loyal and patriotic Americans of Moslem or Arab descent or because they look like the bad guys, or because they share the Islamic religion. Since I know a good number of such people I worry. We can be quite a xenophobic people when aroused, and our quite often “yellow journalism” and jingoistic politicians and preachers stir the cauldron of hatred to the point of paranoid insanity. Our history is colored by such xenophobia. Finally, the news that the Russians may be attacking in the Ukraine is seriously bad news, which we all, Americans and Europeans need to wake up to. So I close this Friday sharing my sense of foreboding even while I hope and pray for peace and justice. Peace and have a wonderful weekend. Of course few people, especially leaders learn from history, including Americans. In November 2002 Donald Rumsfeld predicted that the coming U.S. invasion of Iraq would “Five days or five weeks or five months, but it certainly isn’t going to last any longer than that….It won’t be a World War III.” Of course, he and those who led the United States into war were incredibly wrong, the American involvement lasted 8 years, cost about 4500 U.S. military dead and about 40,000 wounded and when all costs are factored in will have cost the nation trillions of dollars. It also helped bring into existence the group known as ISIL, or the Islamic State of Iraq and the Levant, which now controls vast swaths of Iraq and Syria and whose conquests may drag the United States back in to the Iraq conflagration, maybe even in concert with Iran. It may not be a “world war” but threatens to become global as the influence of ISIL is spreading to other parts of the Middle East, Africa and Asia. 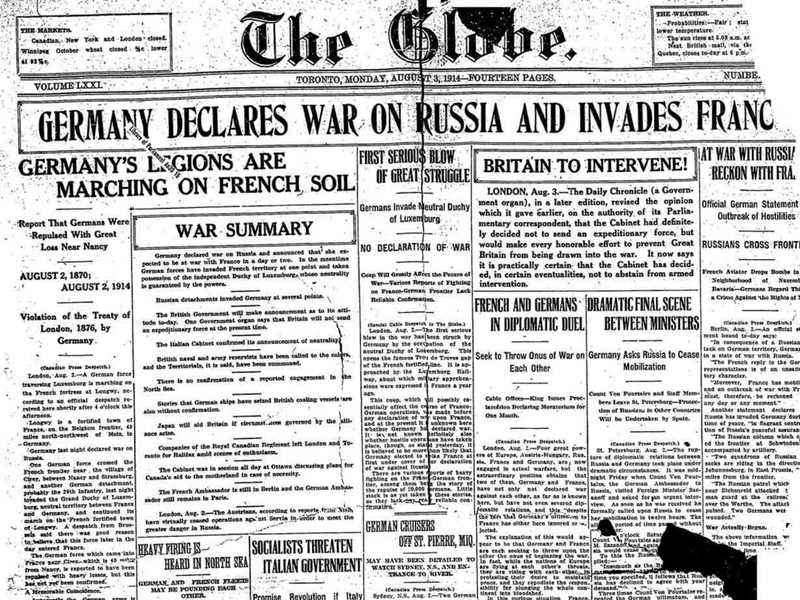 In the weeks leading to the First World War, some nations were determined on war, others thrust into it by their perceived military interests and still others because they ignored the danger of the situation until it was too late. In all cases their actions and inaction led to disaster. 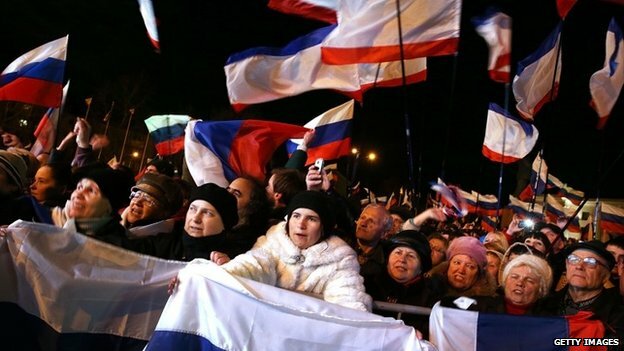 Vladimir Putin has successfully annexed the Crimea and reincorporated it into Mother Russia. It was masterfully done but it was not the first time that something like it has been accomplished. 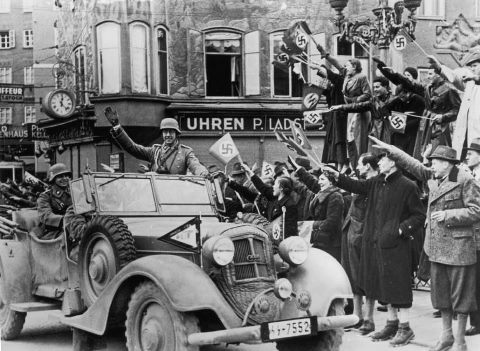 The last time was in March 1938 when Hitler with the assistance of Austrian Nazis and Pan-Germanists brought Austria into the Third Reich over the objections of its democratically elected leaders. The pretext was the same. Ethnic Germans in Austria who wanted to be part of Germany ere being persecuted, just as was claimed about ethnic Russians in Crimea and the eastern Ukraine. The larger power, backed by military force moved to support the their allegedly persecuted brothers and sisters. Like in the Crimea, the Nazi conquest of Austria was aided by Austrians. Austrians who with the assistance of the SS ensured that Jews, Socialists and others had their votes suppressed. 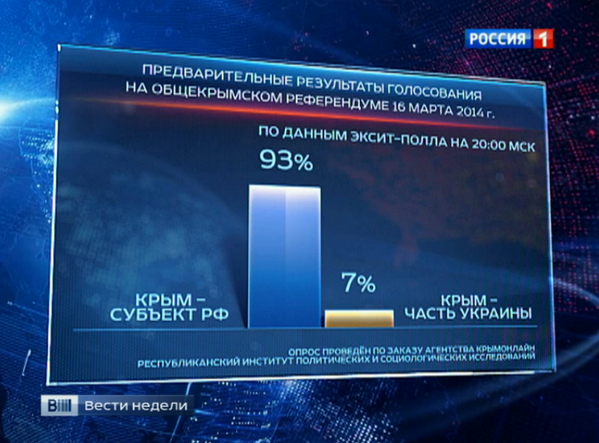 According to official Russian news sources over 95% of Crimeans voted to become part of Russia. That number is lower than the 99.7% of Austrians who “voted” for incorporation in the German Reich, but numbers such as this are suspect. The elections in both places were aided by the presence of a large military contingent from each major power. 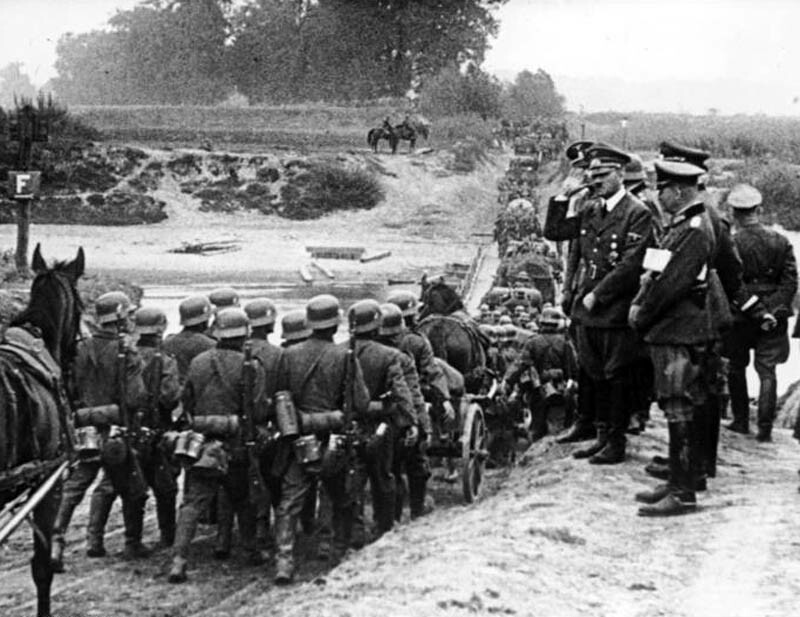 The Germans of course were more overt, their forces openly crossed the border with Hitler accompanying them. The German SS supported the moves of their Austrian counterparts as well as the Austrian SA in bludgeoning all opposition. 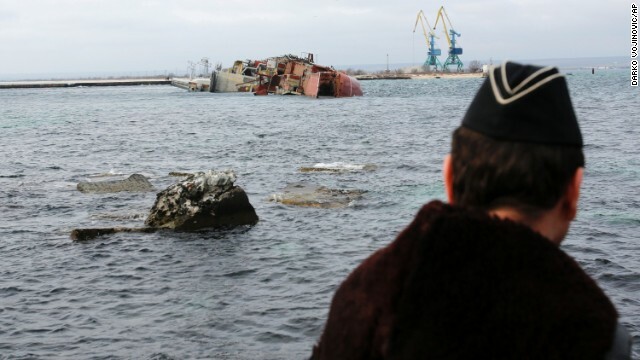 The Russians acting under the same pretext in 2014 denied that their troops had entered the Crimea, despite massive evidence to the contrary. 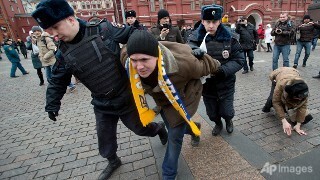 In less than two weeks an “election” was held backed by Russian military forces and local police forces and political groups. 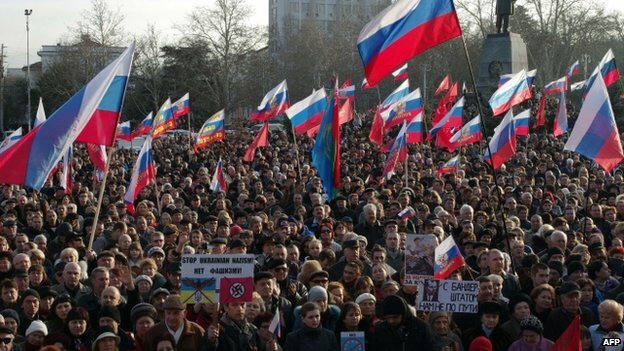 Ethnic Ukrainians and Tartars who make up close to 40% of the population of Crimea were kept from the polls. The parallels are startling. 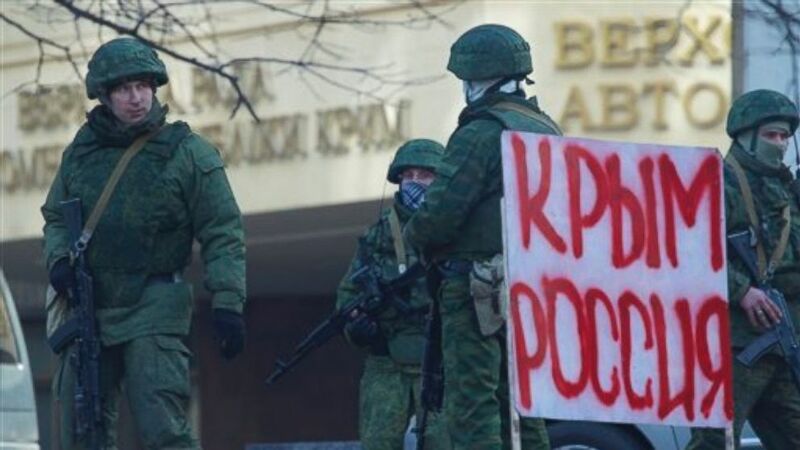 I expect that by tomorrow the Russian Duma will recognize the results of the Crimean election, and that with days Russian forces will move to annex other potions of the eastern Ukraine. These areas are gripped by Russian nationalist forces that are agitating against the Ukrainian government. The situation is so bad that many ethnic Russians in the region are objecting to the methods and propaganda. But that will not stop Putin. For whatever reason he has decided that now is the time to begin to restore Russian dominance in the areas nearest to Mother Russia. It is a dangerous move. 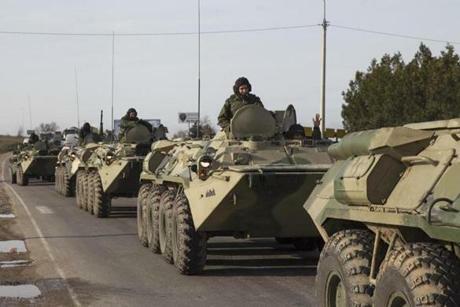 Putin is moving more military forces into Crimea. 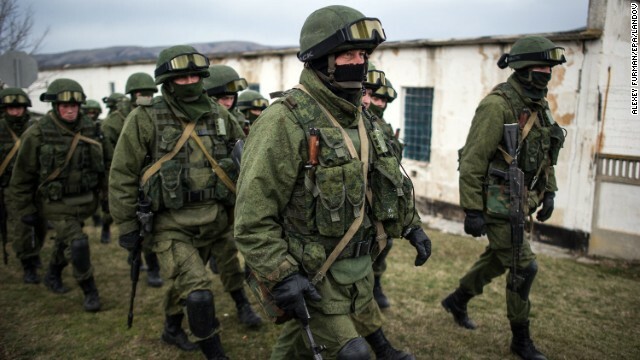 There are credible reports that Russian military units, including the elite Spetsnaz commandos have entered the Ukraine and are attempting to create “false flag” incidents in order to justify Russian military intervention in the Ukraine. This is dangerous. The Ukraine is not Austria of 1938, nor is it Czechoslovakia of the same year where a similar drama was playing out in the Sudetenland where Hitler again taking advantage of the supposed oppression of ethnic Germans was used as pretext to threaten war. Then it forced the west to back down, and a Munich the leaders of Britain, France and Italy forced the Czechs to surrender that territory. But now, with the exception of Russia, the world is condemning the Russian aggression in Crimea and the Ukraine. 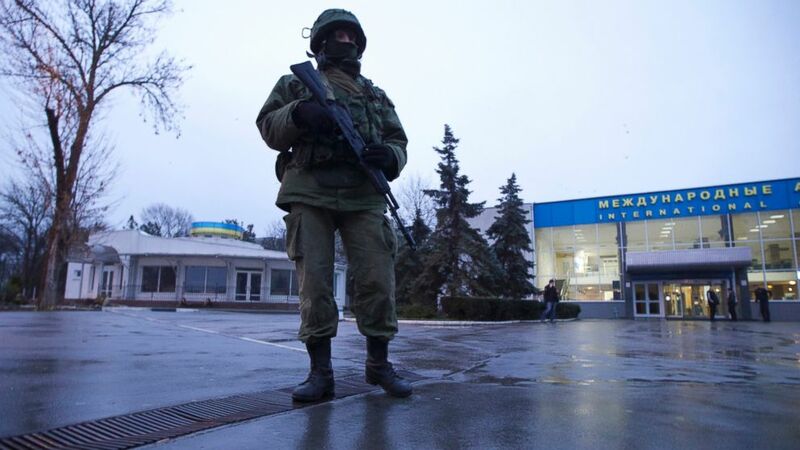 The UN Security Council voted 13-1 with one abstention to condemn the Russian adventure in Crimea. The next week promises to be eventful. 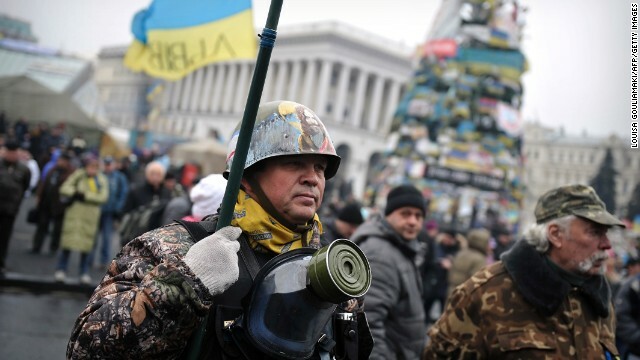 A military “truce” has been agreed to by the Ukraine and Russia. That truce is set to expire Friday the 21st of March. Meanwhile the rhetoric in Ukraine and Russia is becoming more elevated even as military forces of Russia, the Ukraine and NATO move into positions around the region. The military situation could easily escalate beyond the best efforts of diplomats and a real disaster could ensue. It is a dangerous and potentially volatile situation. 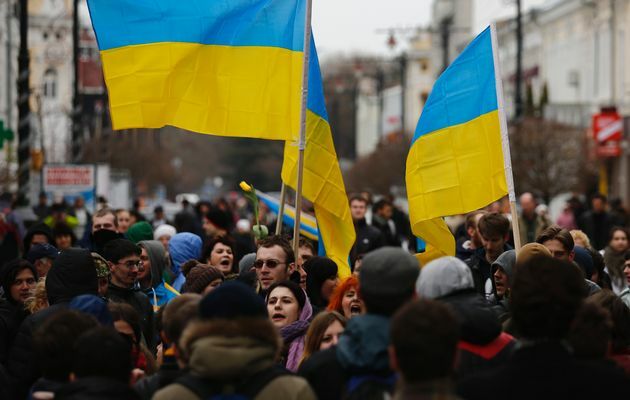 Much blame can be laid at leaders of various Ukrainian political factions, the European Union, Russia and the United States for allowing the situation to get to this point. However, that being said the overwhelming responsibility for the increasing rise in tensions and potential for violence has to be laid at the feet of Russian President Putin. 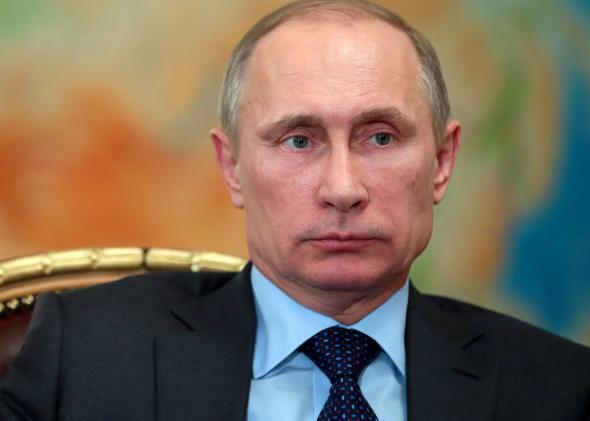 It is Putin who has not taken the path of conciliation and negotiation regarding what is happening in Ukraine. He has instead opted for confrontation. That course is is dangerous and is not in the interest of anyone, especially the citizens of the Ukraine. Let it be clear that I am not a fan of some of the Ukrainian nationalists involved, who are neo-Nazis and fascists. That being said if cooler heads prevail, that negotiations taken in good faith followed by elections that are free, fair and not held under the threat of military intervention take place that the situation might resolve itself. However, if that does not happen I hate to see what happens. I would hope that some kind of solution, maybe of the order of of a non-aligned Ukraine such as Cold War Finland would be negotiated. Such a course has been recommended by no less than Henry Kissinger. Unfortunately I do not think that will happen. The politicians, pundits and preachers, the Trinity of Evil in Russia, the Ukraine and the West are stoking the fires of passion with results that at best will make the world a less stable and more dangerous place, and at worst could lead to a disastrous war. 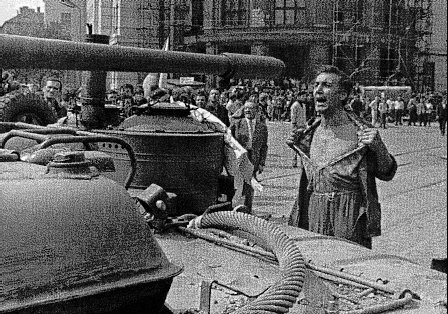 It is something that Europe has not seen since the Cold War when the Soviet Union used military force and violence to put down revolts in Hungary and Czechoslovakia. However, I think in political terms it is much closer to Hitler’s invasion of Czechoslovakia in 1939 after Britain France and Italy stripped that country of its power by forcing the Czechs to surrender the Sudetenland to Hitler in October of 1938. Up to that moment the European powers bet on the appeasement of the Hitler regime. In a sense over the past decade the West has given Putin free reign to exercise his power over former territories, coercing them and occasionally using economic and even military power to bring them into line. But now it is Ukraine. a complex region where Asiatic Russia meets Europe. 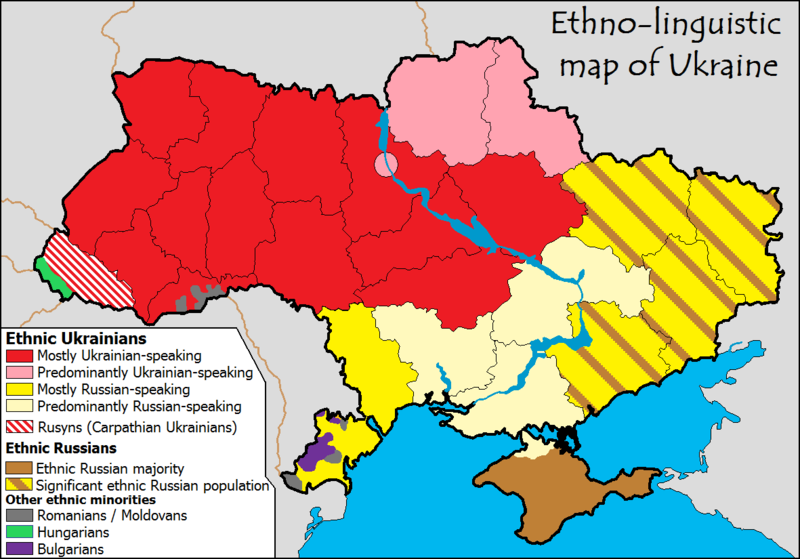 The Ukraine is not Georgia or Chechnya. It is a region that has been a battlefield between Russia, the indigenous peoples as well as Germany, Poland, the Austro-Hungarian Empire and Turkey. It is the dividing line between western Catholicism and Russian Orthodoxy. In the 1850s even England and France found themselves intervening in the Crimea. I believe that Putin under the flimsiest of pretensions has elected to use military force to attempt to coerce the Ukraine back under the thumb of a Russian Hegemon and to frighten the West into not intervening. It is a mistake. Just as in 1938 when Hitler believed that he could continue to steamroll the through Europe without war. In betting on the weakness of the West, Putin is playing the same game. Contrary to the speculation that Putin is doing this as a show of strength it is actually a display of Putin’s domestic insecurity. 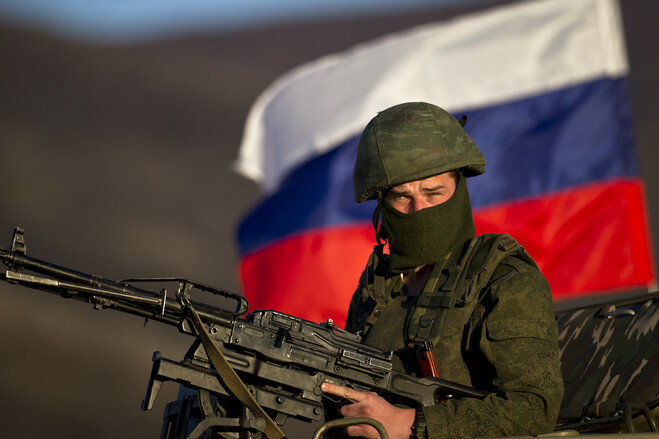 Russia is not nearly as economically or militarily strong as Putin acts. There are serious ethnic and social divisions in the country and despite its assertions the Russian economy is much more dependent on the good graces of other nations as it is not. Already following Putin’s move into the Crimea the Russian currency and stock markets are tanking. I suspect that the West will soon impose sanctions that hit Russian economic and banking oligarchs where it hurts which will undercut support for Putin where he needs it most. Likewise I expect that Russia will be expelled from the G-8 and possibly cut off from other international banking and economic organizations.Likewise both the U.S. and the United Kingdom are bound by treaty to protect the territorial integrity of the Ukraine. Putin has had a run of success until now. However his crackdown against dissidents, campaigns against homosexuals and the state supported Russian Orthodox Church assault against other Christian denominations have already undermined his credibility as a world leader. 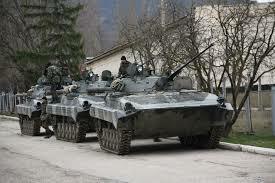 The invasion of the Ukraine will solidify opposition to Russia abroad, and increase anti-Putin sentiment in Russia. Should the Russian military attempt to invade other parts of Ukraine as they are threatening, Putin will find that he has bit off more than he can chew. His forces are certainly more than a match for the Ukrainian military, but he will not be able to hold or occupy the vast areas of the Ukraine in the face of opposition that will rapidly move toward a protracted insurgency. This insurgency will be supported by nations such as Chechnya which will take the war to the heart of Russia. It will turn out worse for Russia than the invasion of Afghanistan for the Soviet Union. 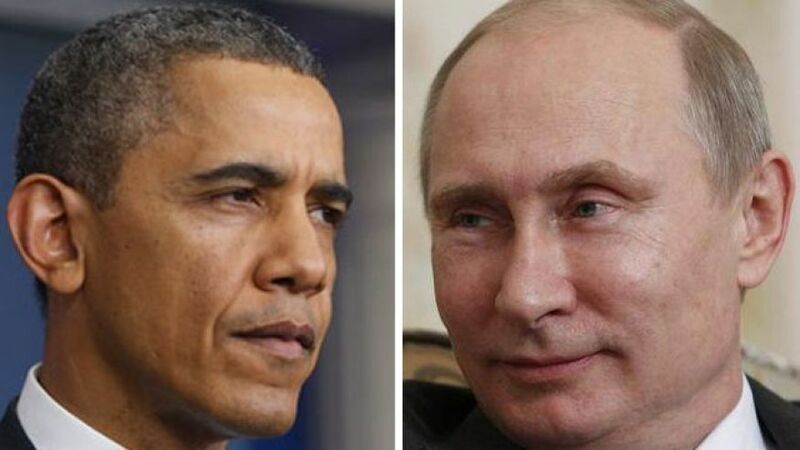 A new Cold War has already begun, Putin has made sure of that. The world that existed just three weeks ago when athletes from around the world gathered in Sochi for the Winter Olympics no longer exists. The only thing that we can hope is that the new Cold War does not become a hot war. The world that we knew is now changed. Let us pray for peace. The response of the new provisional government in Ukraine is that the invasion, and it is an invasion no-matter what Putin and his allies claim, is an act of war. The Ukrainian President has mobilized all reserves, however conventional Ukrainian military force is insignificant compared to what Russia can deploy against it. That being said if Putin elects to continue his aggressive and short sighted overreach by moving troops into other parts of the Ukraine it will trigger a massive insurgency against his forces and it may cause other now independent regions of the old Soviet empire to offer support to Ukraine. The President of Chechnya has already made the offer and its hardy and brutal soldiers are quite good at conducting insurgency and terrorist campaigns. The West’s response is limited by geography. Any U.N. response against it will be vetoed in the Security Council by Russia. The United States, the European Union and NATO will protest. They will probably enact sanctions on Russia’s financial oligarchs on which Putin’s power rests and will possibly move troops to the western areas of the Ukraine and maybe limited naval forces into the Black Sea. For those like Representative Mike Rogers of the House Intelligence Committee and others who said the Obama “missed the opportunity to deploy military forces to Ukraine,” I have to ask what forces and for what purpose? U.S. military options are quite limited after 13 years of fighting costly wars, including the preemptive invasion of Iraq. Those wars, fought on borrowed money because the Bush administration refused to raise any taxes of any kind to support them harmed the country. Our forces, both the troops and equipment are worn out by war. The ability of the nation to rebuild and sustain them has been compromised by the economic costs of the 2008 banking and real estate crisis. Likewise the Republican actions to force sequestration and other cuts on the military in order to get President Obama to cave to their domestic agenda has been detrimental to our overall national security. Those efforts themselves will not immediately accomplish much. However, when combined with an insurgency that has the ability to strike Moscow and St. Petersburg, the costs of maintain an occupying army in hostile territory are factored in they become more important. Likewise the ambivalence of the Russian people, who despite the imperialistic Russian media blitz has not risen to support war will eventually bring Putin problems at home. 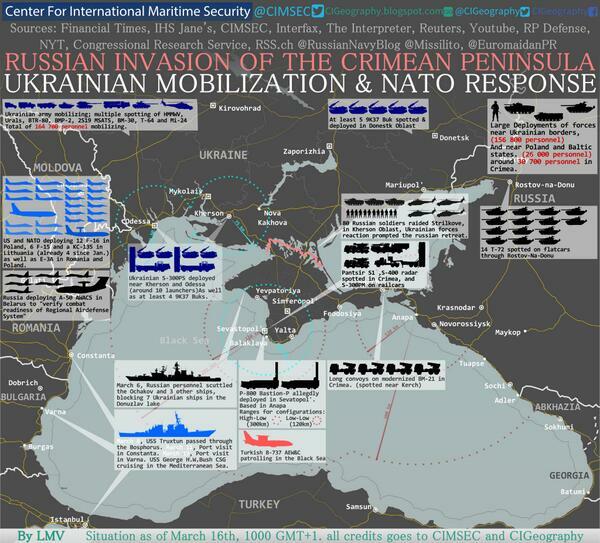 The invasion of Crimea is not good for anyone. Ukraine needs time to sort out what it will become and a war is not in the interests of anyone. The situation is intense and fraught with danger. Passions in many parts of the Ukraine are riding high and Putin’s move is more risky than he may realize. This is not the Republic of Georgia which Putin successfully invaded in 2008, abetted by the incompetence of that country’s leaders. If Putin continues down this course he will open the door to a real life Pandora’s Box, one that may take him and his government down just as Afghanistan helped end the Soviet empire. Of course it is too early to say what will happen. The geopolitics, and economic realities, the internal politics of Russia, the Ukraine and the West will all influence what happens. In the past Putin has conducted a skillful game of realpolitik, however this time he may have overplayed what was a strong diplomatic, economic and political hand by launching this invasion. Those that think that simply because the EU depends on Russia for much of its natural gas and oil forget that Russia cannot cut off the supply without financial repercussions that directly affect Putin’s allies in the Russian financial oligarchy. So now we watch as all the actors make their moves. It is a dangerous game that Putin has embarked upon. We can only pray that it does not turn into disaster for all concerned. As I said I have a lot more work to do on Gettysburg to prep me and my students for the trip. In the next few days I need to write a few articles as well as do some editing on others that they can use for the trip and their future reference. Likewise I need to take my materials and decide exactly what events and people I want to focus on as we walk the battlefield Saturday and Sunday. 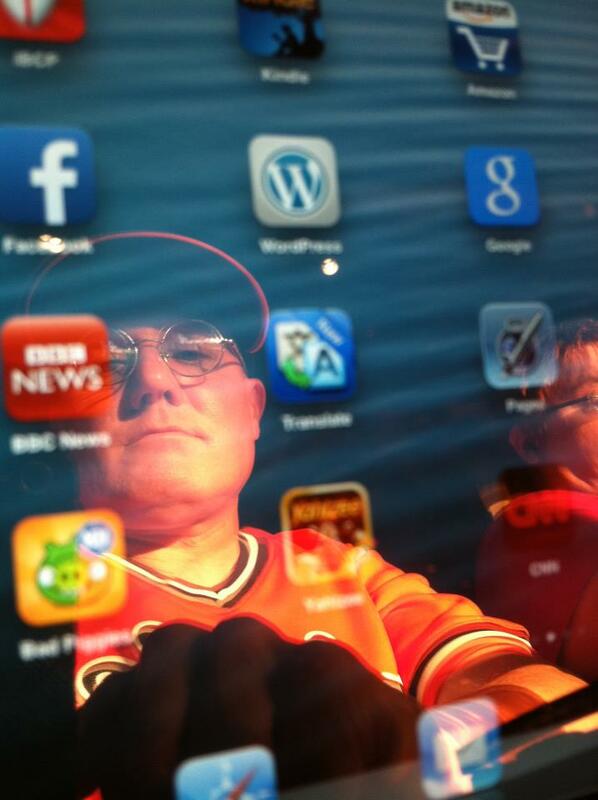 Because of that I have not been doing much writing on other subjects that I think are important. These include the recent focus some to attempt to use their religious beliefs to legislate discrimination by the state on those that the disapprove. 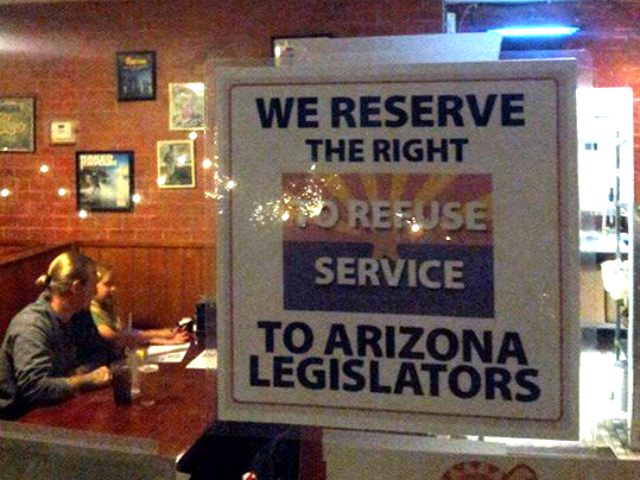 I did write about what was happening in Kansas a couple of weeks back but have not had any time to write about the situation in Arizona as well as other battleground states in the struggle of the LGBT community for basic civil rights that others enjoy. Likewise I am very concerned with what is going on in Russia and the Ukraine and worried that the West and Russia have entered a new Cold War. When I think about that I remember the euphoria of the Iron Curtain falling, and how the West missed the opportunity to embrace Russia and instead treated her as a defeated power. In a sense I can understand the Russians taking advantage of the West’s weakness to re-stake in some manner its claim to Crimea. Whether they outright annex it, use their military and economic leverage to get the region autonomy or divide it along ethnic lines is not the point. The point is that this goes back long before Putin and is the product of centuries of intrigue and political calculation going back to Catherine the Great. In a sense the end of the Cold War was a defeat for the old Soviet Union. But I think that the West in its triumphant celebration and euphoria about “democracy” taking over failed to remember something that is common to the end of all wars that beget new ones. Eric Hoffer wrote: “A war is not won if the defeated enemy has not been turned into a friend.” Sadly to say we did not attempt in any real way to make Russia a friend, and now it appears they are once again an enemy. I certainly do not condone what Putin and the Russian legislature is doing to ratchet up the tensions by sending in troops, moving naval forces and potentially recalling their ambassadors to the United States and maybe the EU. It is very dangerous and any time a nation embarks on military conquest to solve a problem it almost inevitably produces undesired negative effects. It is my hope that the crisis will be defused and that Ukrainians and Russians in the Ukraine can sort this out. Unfortunately I think that things will get worse before they get better. At best I think we can hope for is a partition of the region and a Cold War, at worst a regional war between Ukrainians and Russians that could draw in others. However, amid the din of these crisis, as well as the continued disruption of home life as we wait for the repairs and reconstruction following our great household flood there is hope. 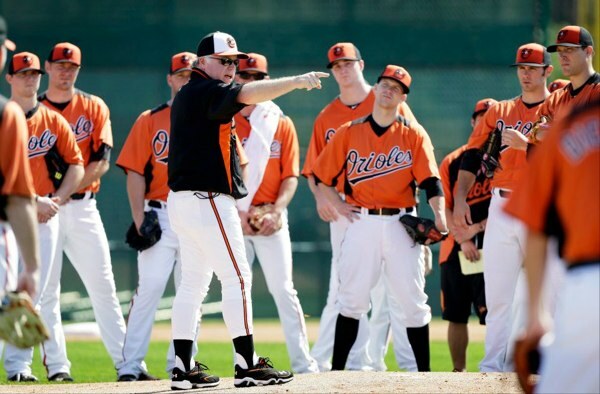 Baseball spring training games are beginning and opening day is a mere 30 days away.